What is Self-respect? 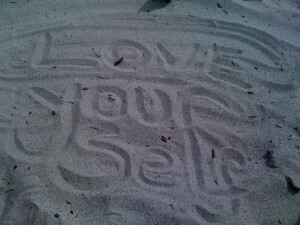 Cedric Centre for Counselling Inc. What is Self-respect? Home → Blog → What is Self-respect? Recently a client asked me what Self-respect meant to me. She also shared her own definition and it got me thinking that my readers might benefit from considering this question and exploring their own definitions. Have a read of my off the cuff answer to my client and then please take a moment to share your own defniniton. How do you demonstrate self-respect? or…How would you like to see yourself demonstrating it? Michelle Self-respect for me means respecting myself above all else. It means honoring my values and principles before anyone and anything else. It means trusting myself to say and do only what feels true and honoring. It means listening to and respecting that precious little voice inside when it feels a little fearful, reluctant or unsettled; trusting that there is a legitimate reason for me to be feeling that way and if I just get quiet and listen I’ll figure out what it is that isn’t feeling good and also, what it is that I need to do to honor myself. Sometimes respecting myself can make other people angry, frustrated, disappointed, and hurt because they want to be able to dictate what I do and/or because they believe that I am responsible for their happiness in that moment. As long as I don’t put more weight on their needs or their perception of me; as long as I don’t get caught up in feeling like I need their approval or that they shouldn’t be angry with me I can easily stay solid and true to myself, honor my truth about what I need, feel, want etc.. In most cases that person will ultimately see their own responsibility in the situation and apologize for putting the responsibility on me, or at least change their behaviour in the future. In the rare cases where that doesn’t happen, it’s a blessing because clearly that person is only interested in being right and having what they want, regardless of the cost to me or to our friendship. Those are good people to have distance from. The more life experience I have in staying true to myself despite, at times, very strong pressure not to, the more I see that it has always been me who is in charge of my relationships and whether they are fulfilling or draining. It has always been me who allows someone to take advantage of me or not. It has always been me and my choices creating that anxious feeling in the pit of my stomach that used to lead me to focus negatively on food and body image. And now, it is me who gets clear on what I truly think and feel before speaking. It is me who doesn’t commit to anything unless I feel truly peaceful about it and like I’m not compromising my needs or values to meet someone else’s needs or gain their approval. It’s me who puts my self-care first and makes time and energy each day for self-reflection and inner connection, regardless of how many other things and people would like my time. Self-respect means knowing that you are equal to every other being on the planet. You are just as deserving of respect and dignity and success and happiness and love and appreciation as anyone else. And the only thing that prevents anyone from knowing that and from living from that space of deservedness and self-acceptance is that they continue to look to others for permission to feel equal and happy and deserving. Once you stop looking outside of yourself and just reassure yourself from within that you are good enough you will feel self-respect; you will find the solid ground that can never leave you regardless of what is going on around you. Love Michelle What does self-respect mean to you? Leave a comment and let us know.